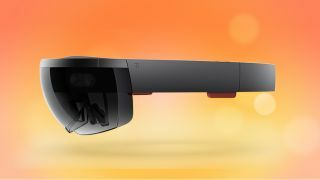 A video from Microsoft has surfaced detailing how it is capturing "high-quality free view point video" -videos we assume will be viewable through the company's HoloLens. Microsoft's video explains that these videos are captured using more than 100 RGB and infra-red cameras placed around actors or performers. It then runs the captured video through multiple layering points, textures and algorithms. It's a complicated process from which you end up with near 360-degree 3D video of the subject that you could basically walk around and view using, say, a HoloLens. Of course, this video capture system could also be used for VR videos as well, but it seems ideal for the augmented reality HoloLens - as the cameras point inwards to a subject, rather than outwards to an environment. Microsoft also explains that the captured video can then be compressed into a streamable .mpeg file, with its example video compressed at a not-too-demanding 12 megabits per second, meaning even services like YouTube could potentially stream these videos. With the HoloLens yet to be released, this video gives us an insight on the type of AR content Microsoft has in store for us. Microsoft has big plans for HoloLens, but will it actually deliver?